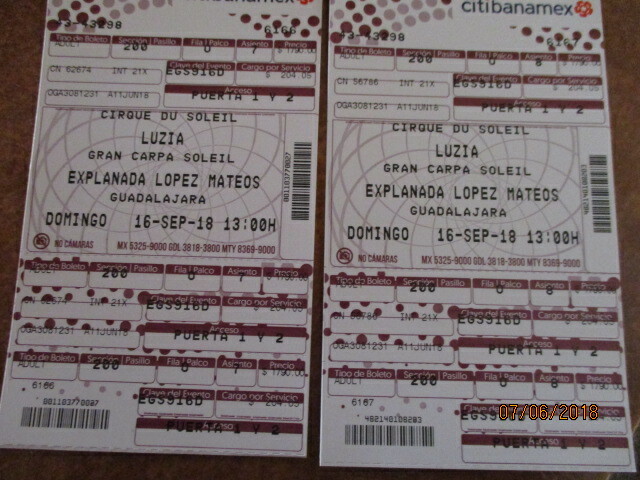 Cirque Du Soleil (LUZIA) - Sunday September 16 2018 - 1 PM - Explanada Lopez Mateos GDL - Section 200 - Row O - Seats 7 & 8. 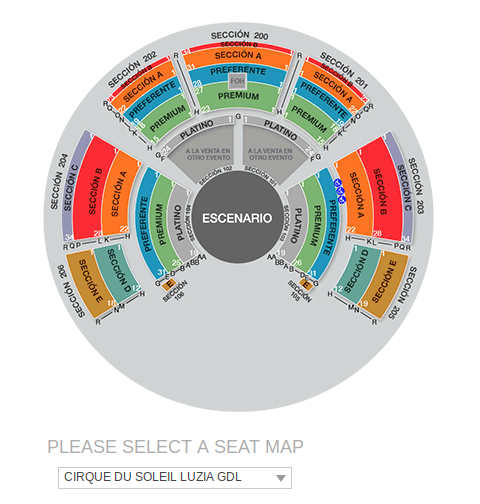 Seating chart below. I will take them and pick them up tomorrow. 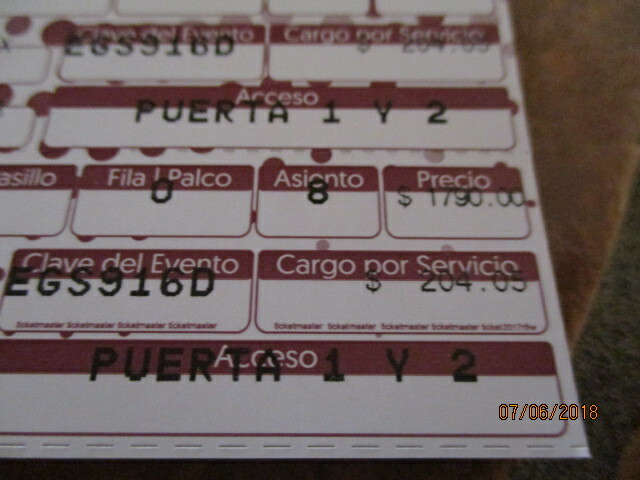 I can pay for them with US thru Paypal if you want or bring you pesos. Send me a PM, thanks. solajijic wrote: I will take them and pick them up tomorrow. I can pay for them with US thru Paypal if you want or bring you pesos. Send me a PM, thanks. Sorry I was in the wrong place, I sent you a PM about a half hour ago. I had Dr. Pinto at the end retail strip on the lake side in Riberas before getting to Chapala. I now know that he moved to the L-shaped plaza west and across the street from Mom's Deli. I have a couple options in the PM for me to come pick them up. solajijic wrote: Sorry I was in the wrong place, I sent you a PM about a half hour ago. I had Dr. Pinto at the end retail strip on the lake side in Riberas before getting to Chapala. I now know that he moved to the L-shaped plaza west and across the street from Mom's Deli. I have a couple options in the PM for me to come pick them up. I sent you a PM for pickup tomorrow (Tuesday) - sorry do not use email.